With the town of Avalona in ruins and his people on the warpath, Archel longed for the days he’d spent as a servant running around the Templus de Ambros handling Chief Justice Adonis’ “official” business. But, that was before. He mournfully recalled Kaiser Rudolpho giving him a crash course in strategy Chess. But, I can’t even play it, he mused as he stared at his reflection. Briefly touching his mirrored temple, he shuddered, a bullet and a genetic defect. That’s all it takes to make me king? At thirteen years old, Kaiser Archeleus Imler had inherited a kingdom at war. Though technically king, Archel’s de facto Advisory Board consisted of career bureaucrats and generals who held all the power. And, his Advisors were absolutely convinced that full scale retaliation was their only feasible option. The vast Iphigenia Mountain Range spans the entire west of Poterit Don. Nestled within Iphigenia’s ragged cliffs, deep valleys, and winding vales rests Poterit Montis, a kingdom built into the ruins of ancient fortifications. Though the Iphigenia Mountains provided a natural barrier, Archel’s greatest summit would prove to be the Montisi’s notoriously brash queen. Will the Montisi become his allies or foes? Terra Damanata, Book 1 of The Pu'Shing Bhu'Tons Series. Thank you for visiting! 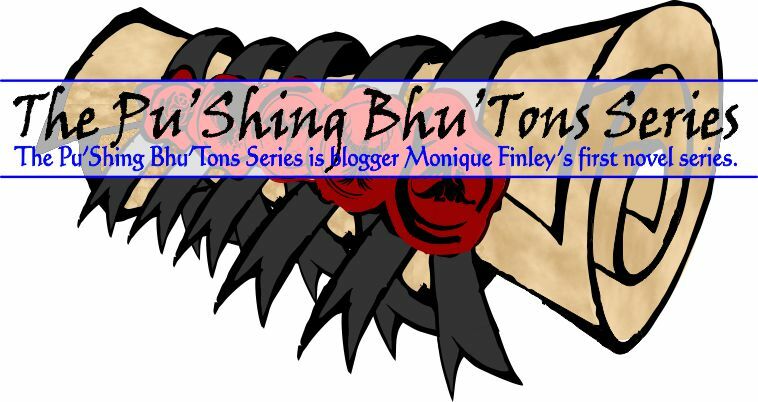 If you enjoy The Pu'Shing Bhu'Tons Series, don’t forget to share it!